The worst thing about cooking fish, in my humble opinion, is worrying about keeping it all in one piece. Of course, this can be solved rather easily by changing your cooking method: baking or steaming or even poaching can save the day here. But those methods aren’t very fun, now are they? I like a little fat in whatever I’m cooking, and insist upon the fact that good olive oil or flavorful butter can add depth to a dish and that fat-free can almost never live up to the real thing. So, I’m going to share a little secret with you. A French secret. Called the unilateral cooking method. All it requires is that your fish still have its skin. 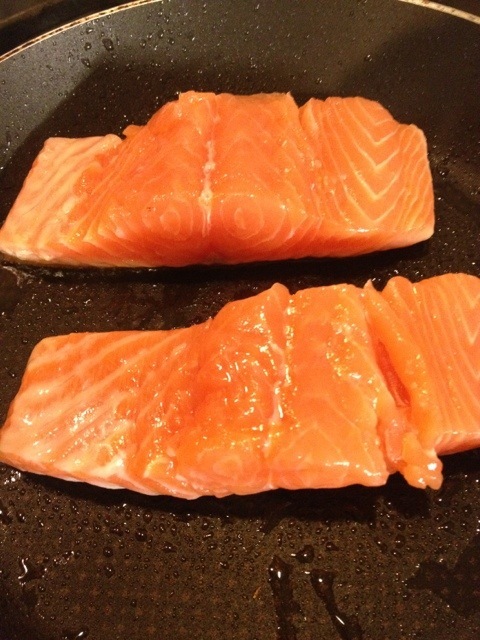 It will change the way you cook, and it will make mouthwatering moist and put-together fish as simple as heating a pan, garnishing with oil or butter, covering and walking away, only to find the perfect end result a few minutes later when you remove the lid!